Good things come in small packages! And Steinbach is proof of it. 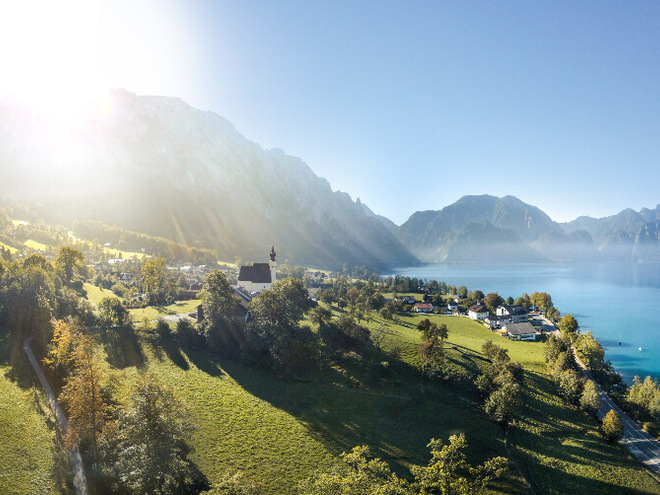 As a guest in Steinbach am Attersee, you become part of the village. People know each other here and help each other out. And at the same time, the small village offers a host of attractions and experiences, some bigger cities only dream of. 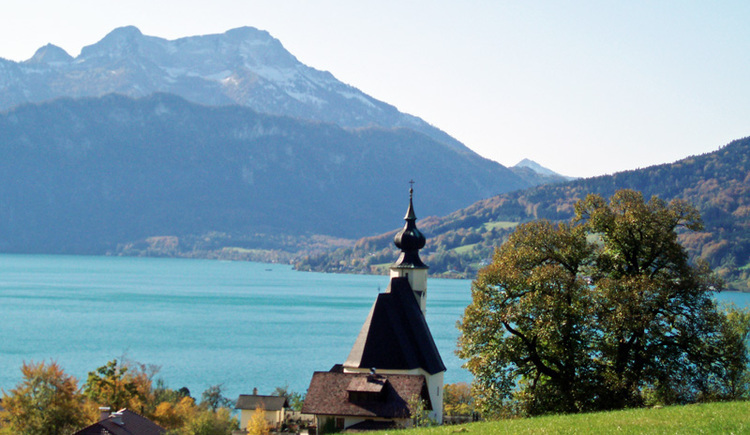 Due to its location at the foot of the Höllengebirge mountain range, the mountains have always played a major role in Steinbach am Attersee. 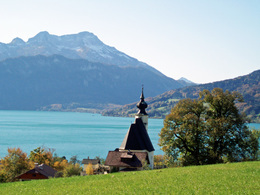 Among other characteristics, this location contributed to the distinction of the village as alpinist village and member village of the Nature Park Attersee-Traunsee. Next to the well-known summits of the Höllengebirge mountains, there is a via ferrata up the Mahdlgupf, the bouldering area Forstamt or the 50 m cascade Nixenfall. Once you are back from up high, countless possibilities are waiting for you at the lakeshore. Different diving stations – like the notorious ‘schwarze Brücke‘ (black bridge) attract divers. If you prefer to stay at the surface, we suggest you go to the lido Solarstrandbad. A large grass beach, a baby pool and a heated pool with a long water slide guarantee lots of fun. Still, we clearly prefer swimming our rounds in the crystal-clear lake waters. The choice of accommodation is crucial for every holiday. In Steinbach am Attersee everybody will find accommodation for his taste and budget. Enjoy the hospitality of the people of Steinbach at our B&Bs, hotels, farms and campsites. At our restaurants, we serve culinary delights from the region and fresh fish from the lake. Our craft brewery Bierschmiede will make the heart of every beer lover beat a little faster. Cheers! Gustav Mahler once chose Steinbach am Attersee as his summer retreat. Some places in the village are witness of these days gone by. This is especially true for the annual Gustav Mahler Festival. But our calendar of events is quite busy with a mix of events from local costumes groups all the way to philharmonic concerts during the Philharmonische Wochen in Steinbach. The winter is a quiet season on Lake Attersee. 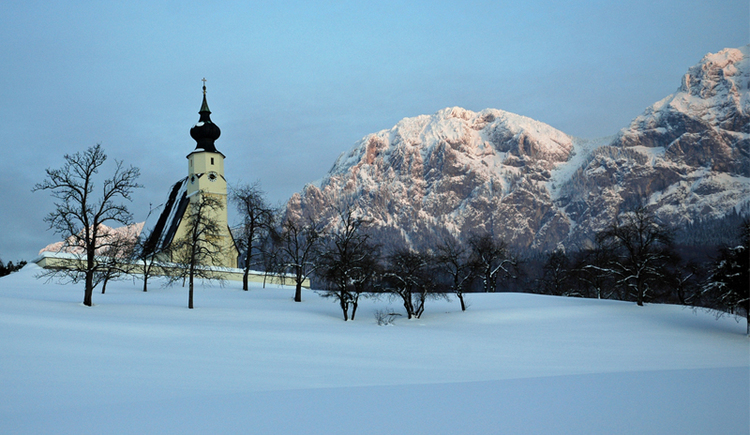 The small family ski resort Hochlecken and the flood-lit toboggan run on the old route Großalmstraße make Steinbach am Attersee worth a trip even in the coldest season of the year. A heartfelt welcome to Steinbach am Attersee! 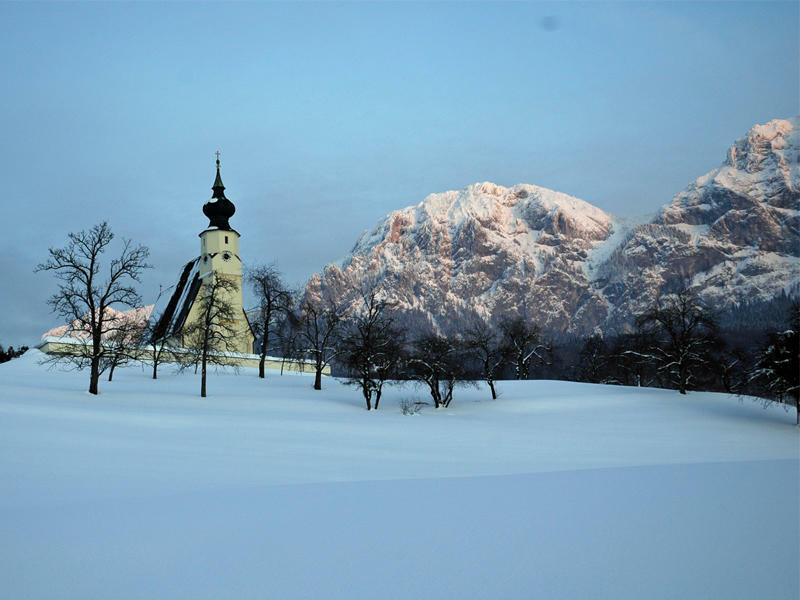 Coming from Salzburg, get off at the train station Attnang-Puchheim and continue your journey by bus or taxi. Alternatively, you can get off at Vöcklamarkt, take the Attergau Train to Attersee am Attersee and continue to Steinbach on a ship of Attersee Schifffahrt.